This offseason, Oscar Dansk and William Karlsson headed back home to Sweden for the summer. The Swedish friends spent some time together and showed their fans in Las Vegas what they were up to. They were joined by teammate Pierre-Edouard Bellemare in Stockholm for the NHL European Player Media Tour… and that’s when some shenanigans began. Vegas Golden Knights fans, welcome to Stockholm, Sweden. Your tour guide for this trip is the one and only William “Wild Bill” Karlsson. 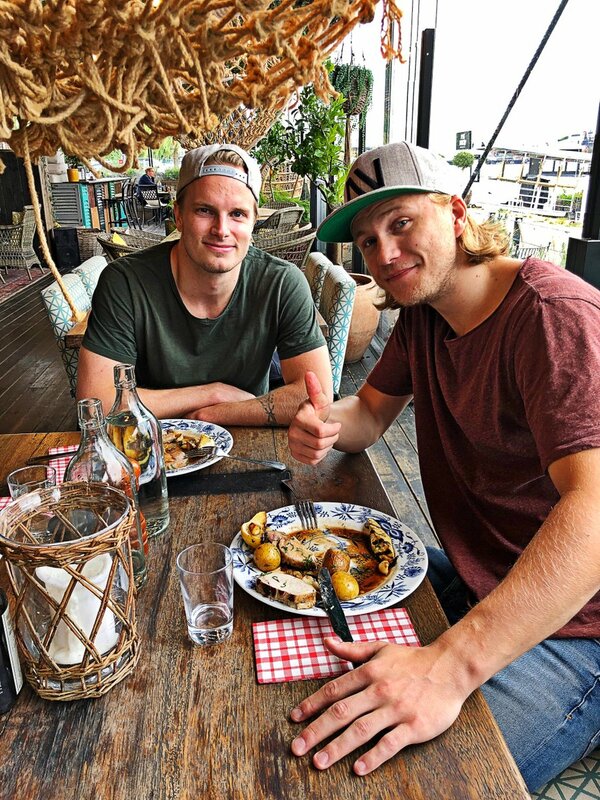 Everybody loves a good meal, especially with your good pal Oscar Dansk. Let's hear it: who did it better? Karlsson and Dansk had to work off their big meal, but instead of hitting the gym, they danced instead. Let the shenanigans with Bellemare begin. Sorry Oscar. Wild Bill wants Bellemare to stick around instead. When 🤠 and 🔔 see "DO NOT MOVE" and "KEEP STICKS IN ORDER-DO NOT TOUCH"
Hmmmm, wonder if the owners of those sticks noticed they were misplaced.